I was in my home town of Windsor, Ontario this weekend to visit my parents--and like most weekends at home, I like to take the time to visit our local temple. 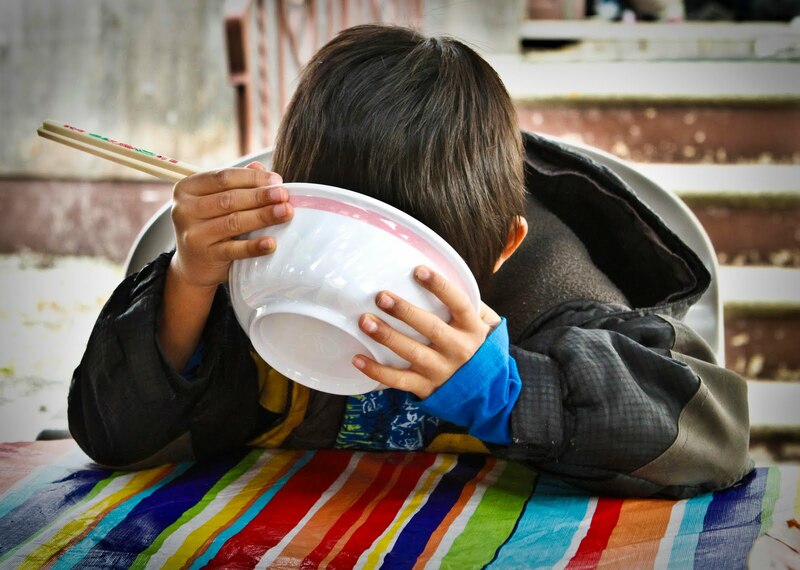 While talking to friends and local elders, I couldn't help but to notice a little boy enjoying his bowl of noodles. In his own little corner, he confined himself to his bowl--slurping, twirling, spinning and chewing to his heart's content. His use of the chop-stick could make fools out of Iron Chef's. And with every gulp of broth and succulent string of noodle--he finished off with an audible "aaaahhhhh" followed with a smile to showcase his remaining two-front teeth. Life is definitely good--down to the very last drop.